Through North American Van Lines, we can provide a variety of corporate relocation services and programs for companies on the move. Specialized programs can be custom tailored to meet special needs. These special services include complete door to door services for your employees. When your company is in need of corporate relocation services, Arnoff Moving & Storage is the right choice. Our corporate relocation services are customized to meet the ever-changing needs of your business, your employees and their families. There are many considerations involved with corporate relocation, and Arnoff manages each and every aspect. From move management and policy development to cost analysis, your employees' seamless and stress-free transition is ensured, and your business's objectives are met as well. Skilled Drivers - Ongoing safety training and rectification. Satellite Equipped Fleet provides real-time location of your shipment. Entire Fleet is Air Ride Equipped - Reduces shock and vibration to your household goods. Local, Long Distance and International Relocations. Arnoff Moving & Storage's corporate relocation services are comprehensive to best serve your business and employees. Our professionals can effectively transport your employees and their families anywhere in the world. The corporate relocation services provided are time and cost-efficient, so contact Arnoff Moving & Storage today to hear more about what we can offer you. 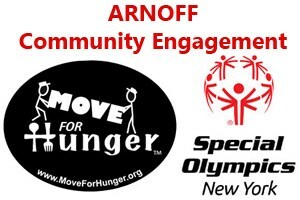 Arnoff is proud to service New York's Hudson Valley area, Massachusetts, Connecticut and the Fort Pierce area in Florida for their corporate relocation requirements.